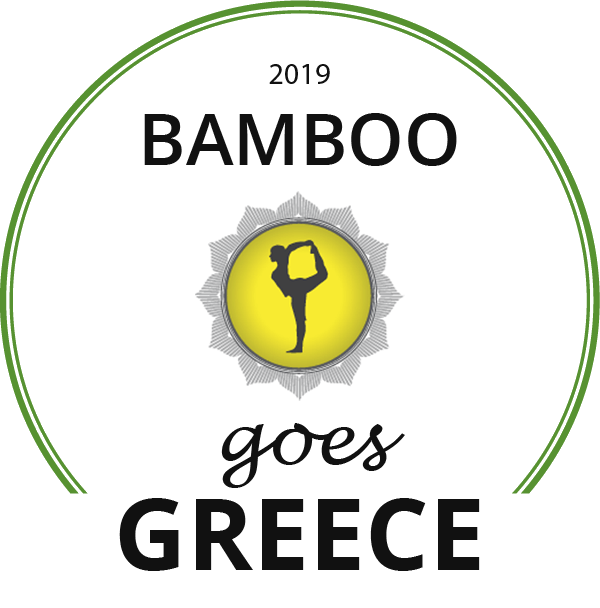 Book your Yoga Holiday with us now! 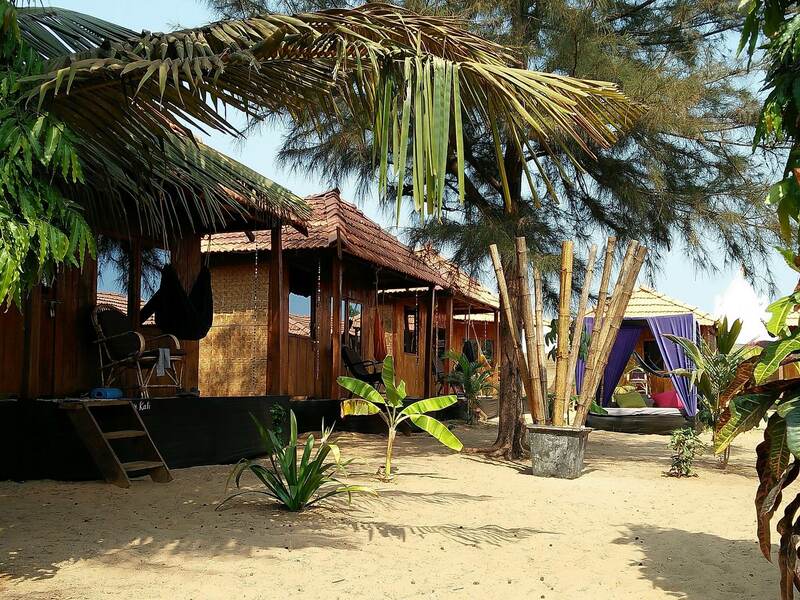 Our Bamboo beach bungalows on Patnem beach are designed to blend beautifully with the breathtaking natural surroundings. 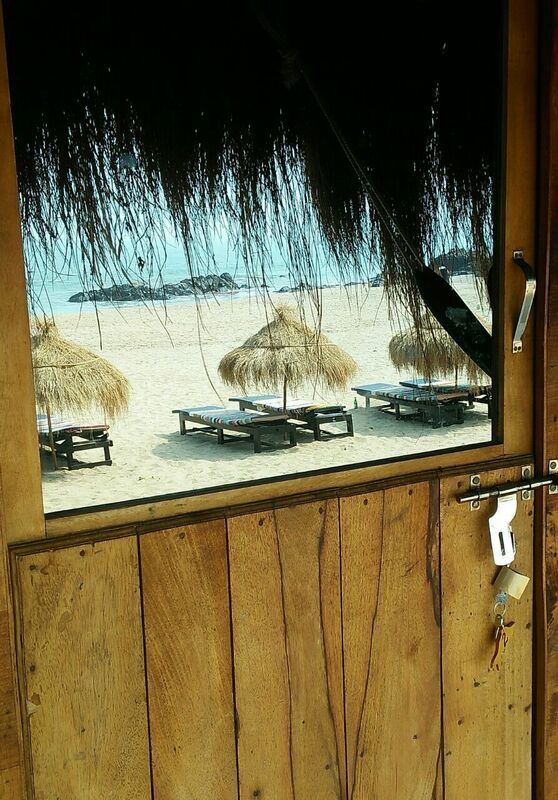 Built on the fine white sand every season after the monsoon rains, using local organic materials, our bungalow style beach huts are simply stylish, comfortable, private and eco-friendly. 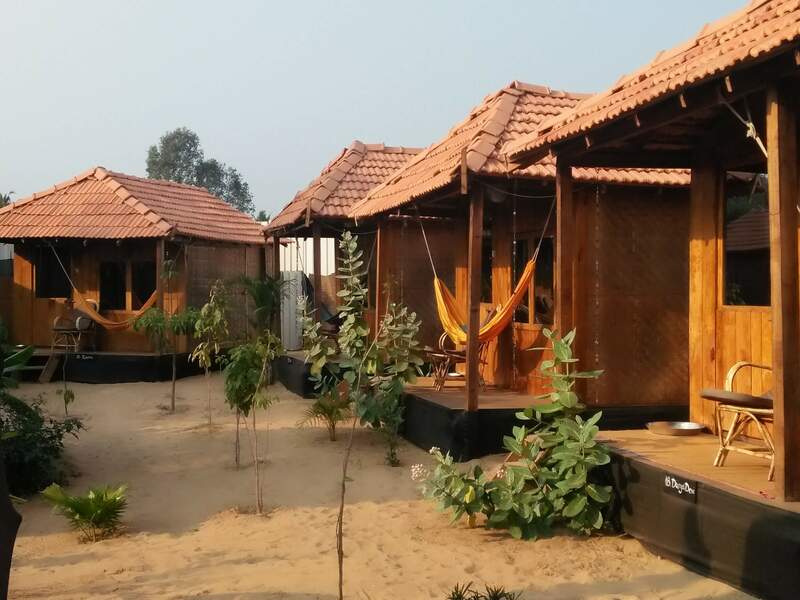 Located directly behind the Ocean Shala and beachfront lounge, and just steps from Patnem beach, our boutique bungalows are designed to help you reconnect with nature. 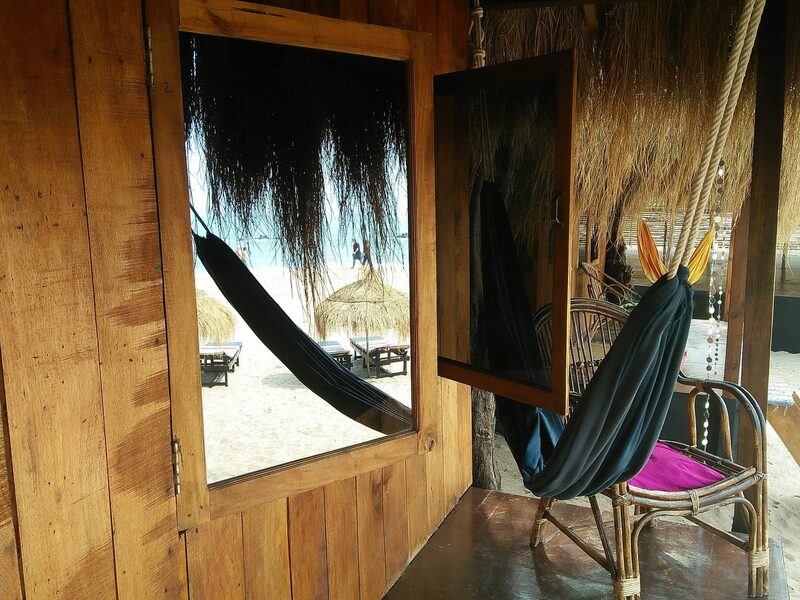 Whether watching the eagles soar overhead from the hammock on your balcony, or falling asleep to the sound of the waves, the normal stresses of life melt away and you will feel open to a more profound yoga practice. 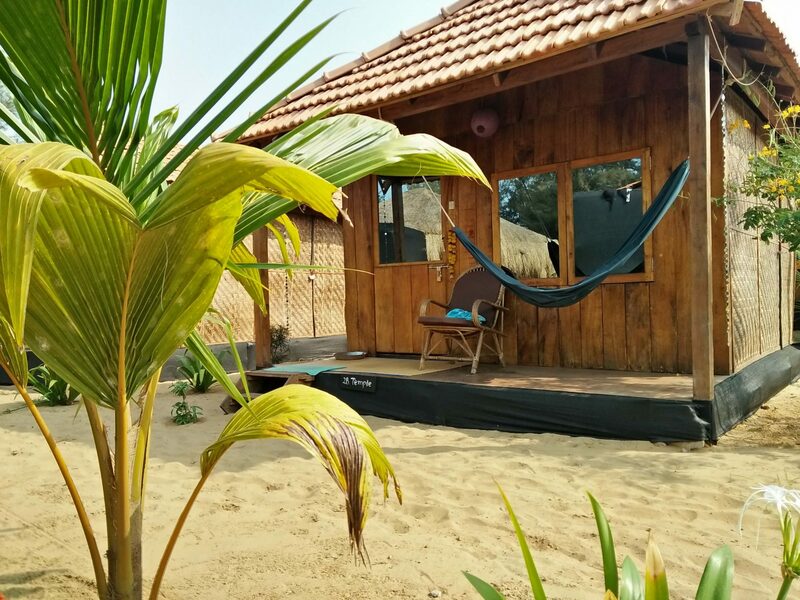 Each bungalow beach hut at Bamboo Yoga Retreat Goa has one double or two single beds with comfortable European style mattresses, good linens and mosquito netting, set in a spacious airy room with plenty of room to hang your clothes and store your belongings. 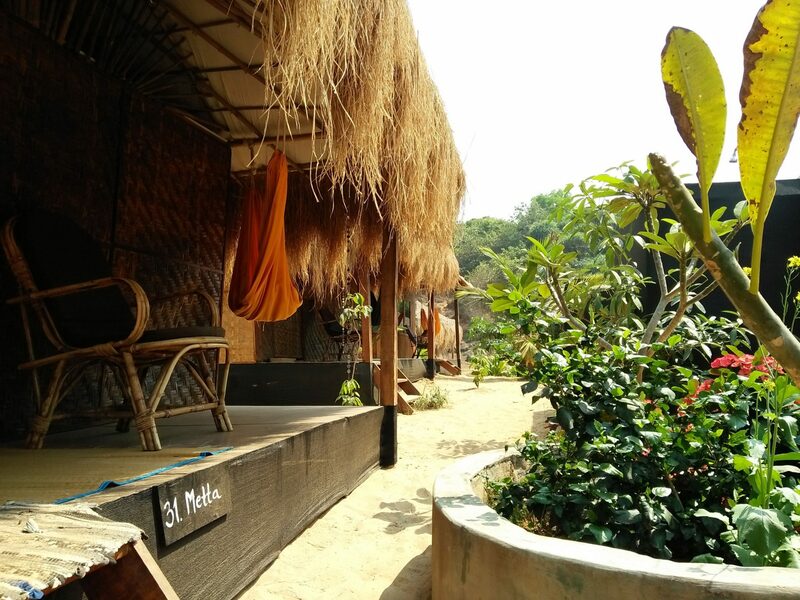 Constructed to make use of the natural ventilation from the cooling sea breeze, they also have ceiling fans for more tropical times of year. 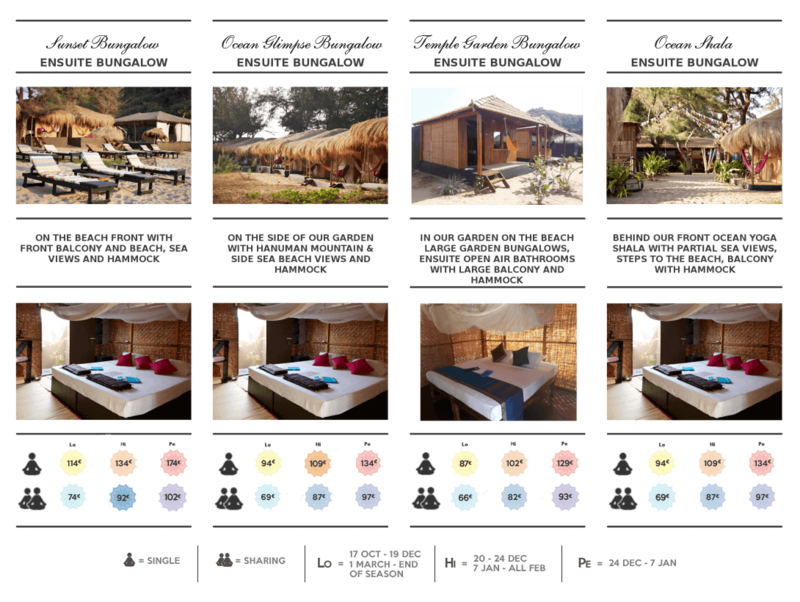 Attached bathrooms with western style toilets are open to the sky for the magical experience of showering under the stars. 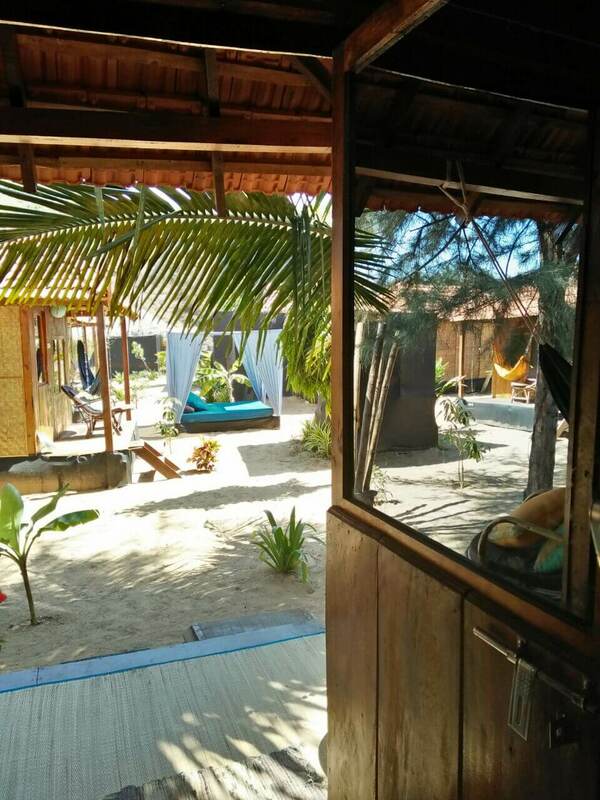 All of our Bungalows have beautiful natural panoramas views / sea view overlooking Patnem beach, and you can choose between a Beachfront Sunset Bungalow, an Ocean Mountain Bungalow, or an Ocean Temple Bungalow, which is quieter at night with its peaceful garden setting. 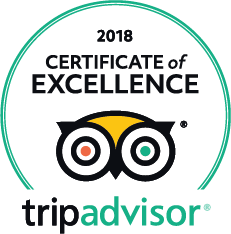 You can book a private room, share with a friend. Teachers will match yogis for room sharing on retreats. Regular housekeeping is available, with fresh linens on request, although we ask guests to bring their own towels for the beach. 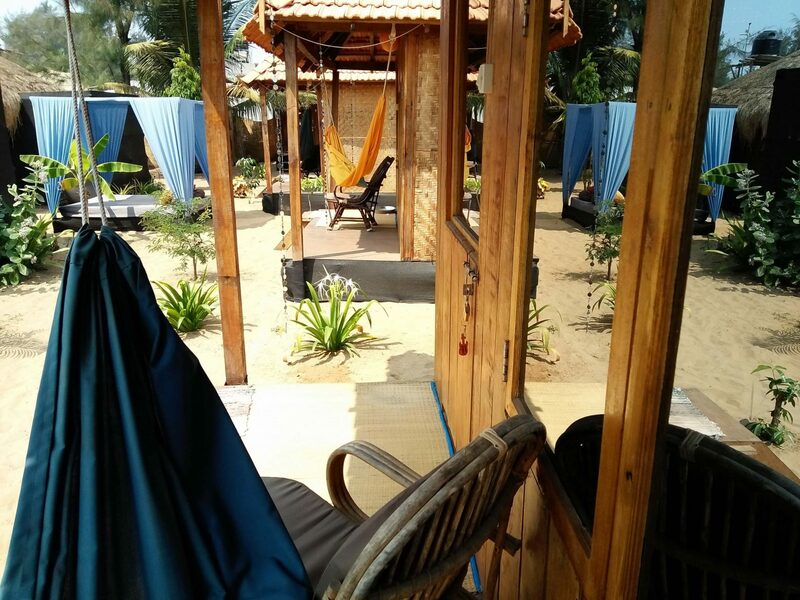 The bungalows can be locked when you go out, and free wifi is available in the lounge area. 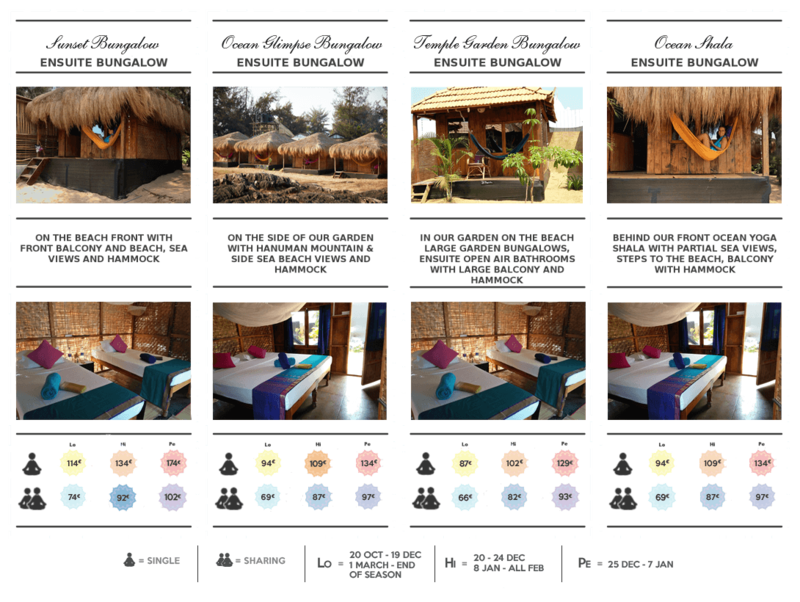 We want you to feel safe, relaxed and in harmony with nature to get the most out of your Yoga Holiday or Yoga Retreat at Bamboo Yoga Retreat in Goa.